Every family has it’s own special dish. 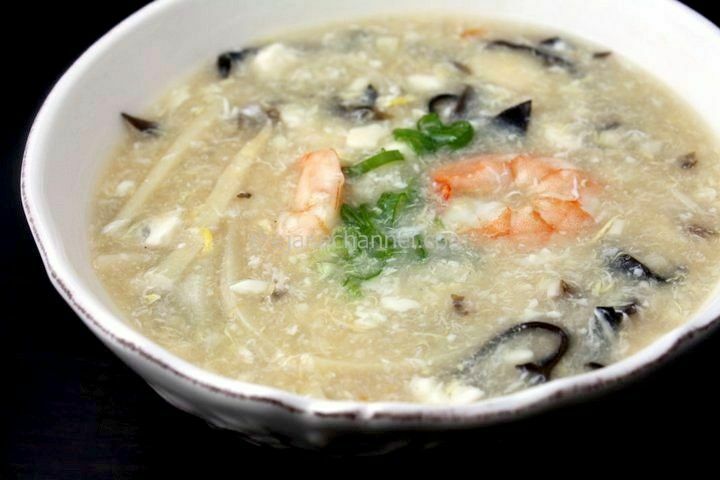 One of our family specialty is soup, and it is always on the dinner table. Sometimes we may even have two different kinds of soup in one meal. This particular type of soup, the thick or creamy soup (羹) is one that my brother and I request over and over again. It’s a good alternative to when we don’t have any appetite because it tastes light but is also nutritious with protein at the same time. There are many variations of this soup, but the base is almost always made with chicken. We also love to add about a teaspoon of balsamic vinegar with the soup. I hope you will enjoy this soup as much as we do. Soak wood ear in hot water and let sit for 20 minutes. Clean and remove any hard parts with scissors. Cut into strips. Bring a pot of water (10 cups) to boil. Add chicken, carrots, shrimp shells and ginger to the pot. When it comes to boil again, lower the heat and simmer for 1.5 hours. Remove chicken, carrots, shrimp shells, and ginger from the pot. Bring the soup to boil over high heat. Add wood ear. When it comes to boil again, lower the heat and simmer for 5 minutes. Bring the soup to boil over high heat. 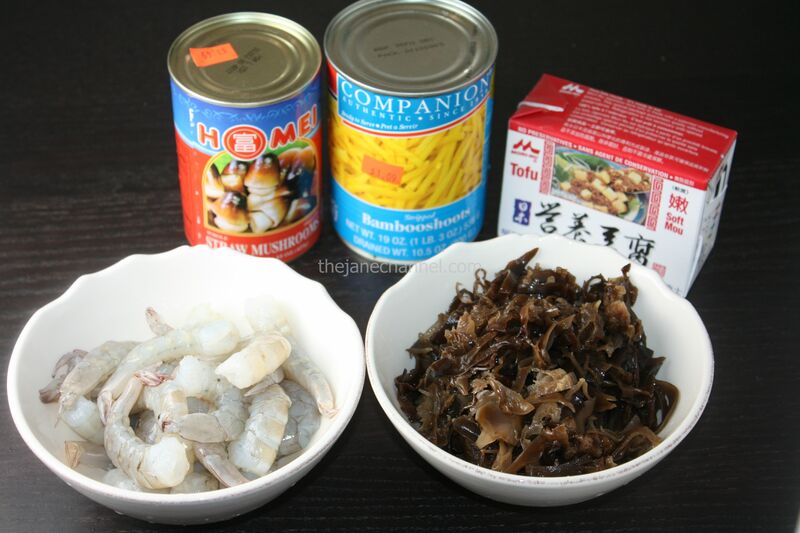 Stir in bamboo shoots, straw mushroom and shrimps. When it boils again, stir in tofu and break into pieces. Add soy sauce. In a small bowl, mix the starch with 2 tablespoons of water. Stir into the pot of soup slowly to thicken the soup. You may add more starch mixture until desired consistency is reached. Lastly, turn off the heat. Crack two eggs and stir quickly. Serve while it is still very hot.